The T.S. Shure ArchiQuest Master Builder Wooden Building Blocks Set (136-Piece) is on sale for $22.65 at Amazon right now. That's 62% off the list price of $59.99! 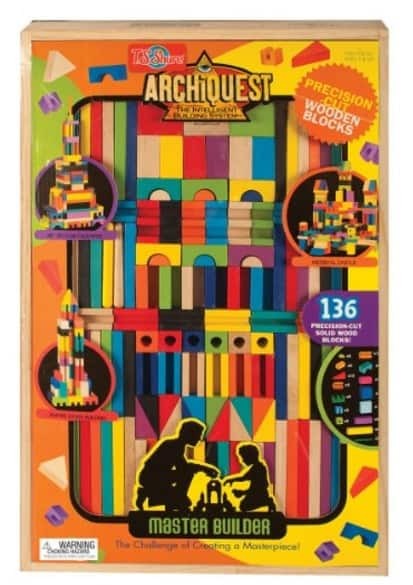 Includes 136 colorful precision-cut solid wood blocks, and Building Idea Booklet. Comes in an heirloom quality wooden storage box. Build a medieval castle, the empire state building, an art deco skyscraper and anything else you can imagine. Challenge a creative mind with endless design possibilities.